Published July 28, 2014 at 2489 × 2436 in Samples of Our Work: Frames. Details before, during, and after treatment. 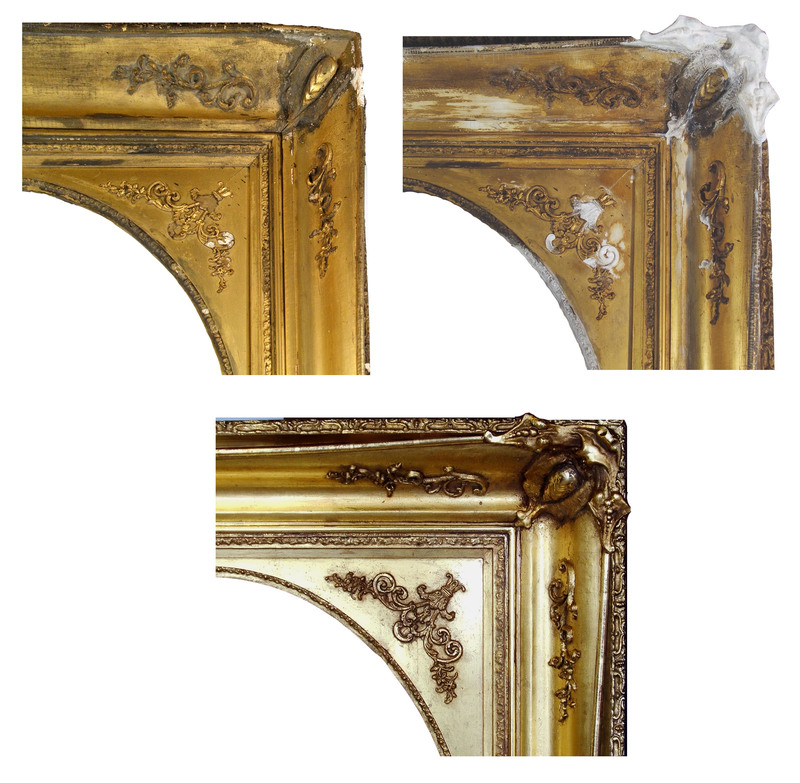 The “during” image shows the newly recreated ornament, before gilding.